Alison was born and grew up in Northern Ireland. She met her husband, Britt, also a missionary and clergy member of the Florida Conference, when he worked at the East Belfast Mission in 2002. The Gilmores came to the United States in 2003. 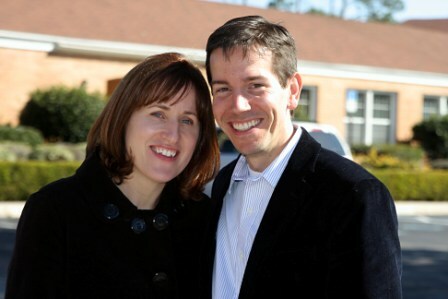 Alison worked in the admissions office of Trinity School of Durham and Chapel Hill, North Carolina during part of the time that Britt was in seminary at Duke University. The couple moved to Orlando, Florida in 2005, where Britt had a pastoral appointment. Alison received a master's degree in counseling from Asbury Theological Seminary, Orlando, and worked for a year as a student intern in St. Luke's Community Counseling Center, a ministry of St. Luke's United Methodist Church. While aware of God from an early age, Alison, says that "it was not until my first semester at university that I felt the deep, overwhelming, and pursuing love of Jesus. He filled my deepest need and became my all. Becoming actively involved in the Christian community at university, those four years were transformational and life changing." She recalls that from her early days she had a curiosity about mission and missionaries, an interest increased by participation in mission trips to France, Nepal, India, Ukraine, Uganda, Paraguay, and Poland.